~~> HO HO HO! Santa’s house is a mess! Can you help Santa clean up his messy house in time for Christmas? ~~> Be Santa's little helper! Have fun around the house with tons of interactive & joyous Christmas activities! 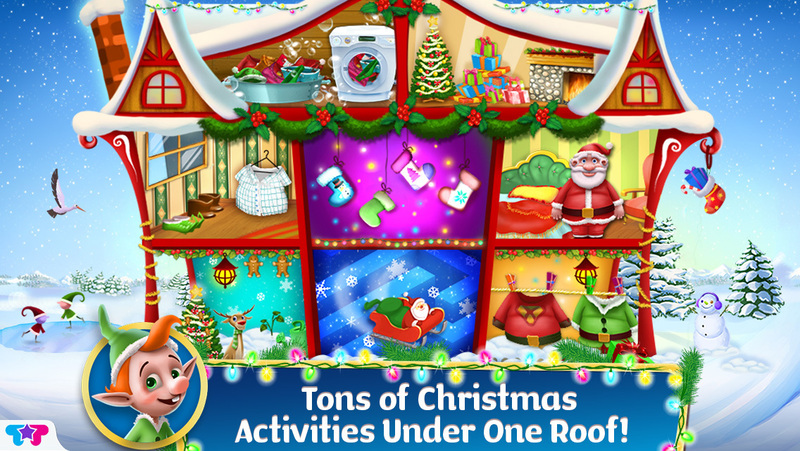 ~~> Dress up Santa with CRAZY cute outfits, match Christmas stockings, wash clothes, grow your own Christmas tree, tidy up Santa's living room and more! Santa is so busy collecting presents for Christmas, he hasn't even had the chance to clean up his messy house! 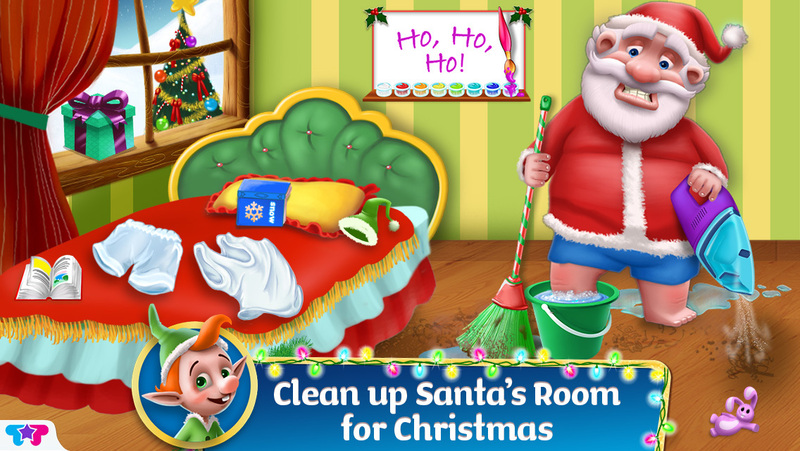 Help Santa as you clean up his messy house in time for the Christmas holiday! Do the laundry, match the stockings, hang Santa's clothes, clean up the messy living room and plant your own beautiful Christmas tree! You can even dress up Santa in a variety of CRAZY cute outfits! 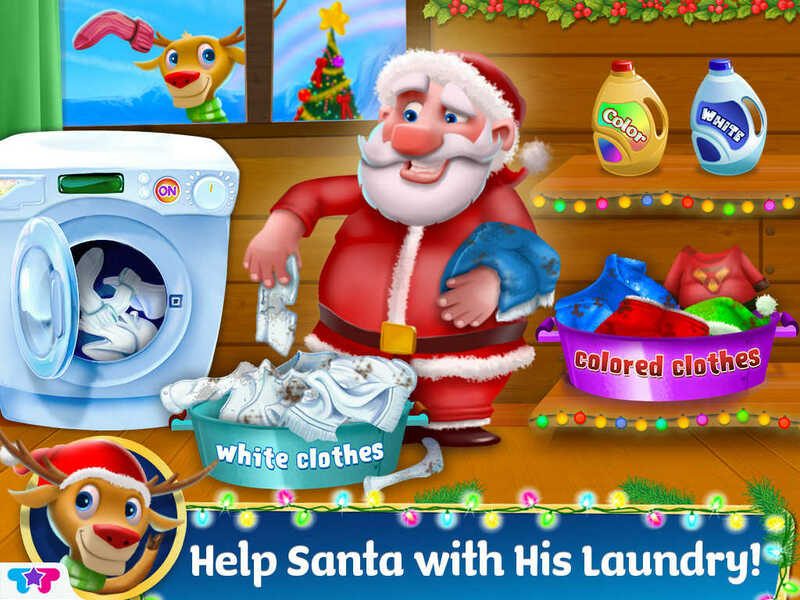 > Do the Laundry with Santa! First you need to separate the clothes - whites & colors, and then pick the right detergent for the right pile of clothing! > Grow the most beautiful Christmas tree! Dig small holes, put the seedlings in the soil and cover the holes. Water the seedlings, care for them and voila! > Messy Bedroom! Drag the toys in their box and make sure everything is in the right place! Get crafty! Use tons of colors to paint your very own masterpiece! Vacuum and mop till Santa's living room is sparkly! > Hang The Laundry! Use your memory skills with these fun laundry hanging activities! 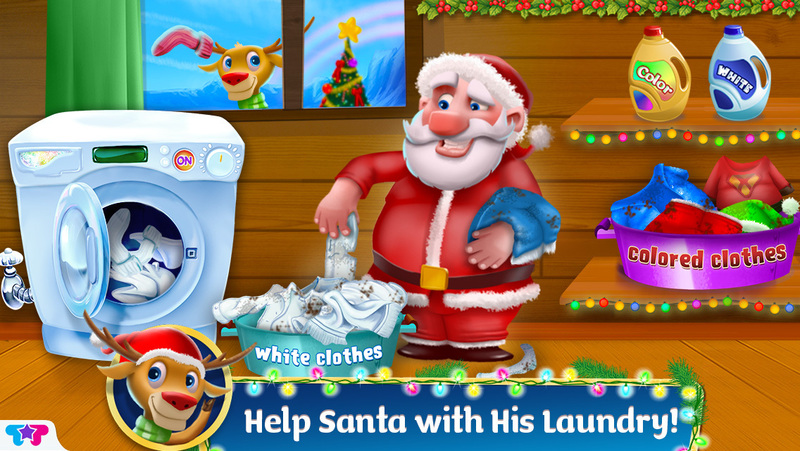 Hang Santa's laundry and find the matching shapes!